Technological developments was never able unstoppable, one that is particularly interesting this time is omni-directional tires, which can propel the car in all directions. Although only a prototype, but this is a remarkable discovery. A Canadian pionering inventor, William Liddiard was the one who managed to find the omni-directional tire technology for this car. The tires along with rims created by Liddiard, it can make the car rotate 360 ​​degrees and can be shifted laterally to left and right. He also claimed to spent the money up to US. 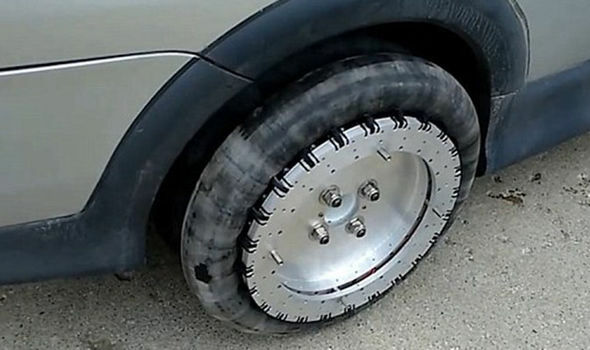 $61 thousand or equivalent to Rp.800 million to develop and filed the patent of this tire. And the Liddiard Wheels, is the name given by the inventor of this tire product. This revolutionary tires were recently launched in London, England. How this tire works till it could be roll up into. Thanks to the help of external motors made this omnidirectional tires can perform these movements. When the motors activated and the car's tires slid sideways in the speed just 1 mile per hour. Of course this is very useful, for example, at the time of going to park the car. 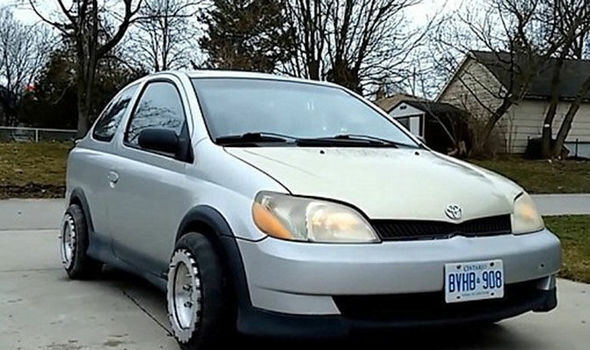 The driver who use these tires do not have to bother anymore while trying to parallel park. Liddiard said, if the tires are made to have a design that can be used on any terrain. So far these innovative products only reached the prototype stage. Although later the tires can be mass produced, but Liddiard claimed quite hassles. Due to grow these businesses need big capital. "I would love to see a big company to take over and run it. They can bring it to market more effectively and more quickly than I can. But I will not stop," he said further.